Pope Benedict XVI has called for the New Evangelization to reach Mexico. Catholics Come Home® and its Spanish language television evangomercials(TM) are answering the Holy Father’s call for the New Evangelization. Catholic evangelization messages are already appearing on TV screens across Mexico, inviting viewers to “come home” to the Catholic Church. Verastegui shares his personal testimony after many years outside the Church pursuing a life of fame and material success. Pope Benedict XVI travels to Mexico and Cuba, from March 23-28, a trip based on the Pope's conviction that “this is a precious time to evangelize” in Latin America and the Caribbean. In his homily during the December Mass which honored Our Lady of Guadalupe and celebrated Latin American and Caribbean independence, the Pope called for the New Evangelization to reach these countries and beyond. Catholics Come Home® and its Spanish language television evangomercials(TM) have also just arrived in Mexico, answering the Holy Father’s call for the New Evangelization. Catholic evangelization messages are appearing on TV screens in Mexico, inviting viewers to “come home” to the Catholic Church and to visit the CatolicosRegresen.org website to learn more. This month alone, CatolicosRegresen.org has been airing various commercials from their Spanish language portfolio, about one hundred times in Mexico, and more airings are planned for the near future. The Catholic evangelization commercials direct viewers to the CatolicosRegresen.org website, which features a welcoming message from Eduardo Verástegui, a popular Mexican actor, producer, and star of the movie Bella. Verástegui shares his personal testimony (English / Spanish) of his journey back to his Catholic faith, after many years outside the Church pursuing a life of fame and material success. The website CatolicosRegresen.org provides catechetical information and a parish finder for those in Mexico, the United States, and elsewhere. Univision's popular television program Primer Impacto (March 22, 2012 - 5:30 to 6:00 pm EST) features Verástegui sharing his insights on the upcoming Papal visit to Mexico and his role in helping Catholics Come Home® to spread the messages of CatolicosRegresen.org and the New Evangelization in his native country of Mexico. Now a resident of Los Angeles, Verástegui shares his conversion story in English on the Catholics Come Home® website as well. During the recent Christmas season, most Americans witnessed a first in television and Church history: the national, prime-time network debut of bilingual Catholic evangelization messages in English and Spanish, from Catholics Come Home®. Spots feature the history, spirituality, and accomplishments of the Catholic Church. These evangomercials™ were broadcast 546 times from December 12, 2011 to January 13, 2012, reaching viewers across the entire United States and airing in every diocese, on television networks including NBC, CBS, Univision, and numerous national cable networks. Many ads aired in prime-time. Nielsen data indicates that as many as 125 million viewers in the United States were exposed to the ads, an average of 9.7 times each. Catholics Come Home® has also launched evangelization initiatives in 33 US dioceses and archdioceses, from Seattle to Chicago and Boston to Phoenix, helping to increase Mass attendance in many dioceses an average of 10%. In dioceses with high Hispanic populations (Chicago, Sacramento, Phoenix, Corpus Christi, etc. ), Mass attendance has increased as much as 17.7% following the airing of Catholics Come Home® bilingual campaigns. Catholics Come Home(R) continues to work in partnership with various dioceses to air local TV evangelization media campaigns during the seasons of Advent and Lent. Future plans for the apostolate include developing and airing new commercials in the U.S., Mexico, Canada and internationally. To receive a copy of the ad for media broadcast or to schedule an interview with Tom Peterson, President and Founder of Catholics Come Home®, please contact Yvonne Marchese, Executive Director, at 678-585-7886 x101, or by e-mail to yvonne@catholicscomehome.org. For interviews in Spanish, contact Veronica Esquivia-Lee, at 678-585-7886 x104, or by e-mail, veronica@catholicscomehome.org. 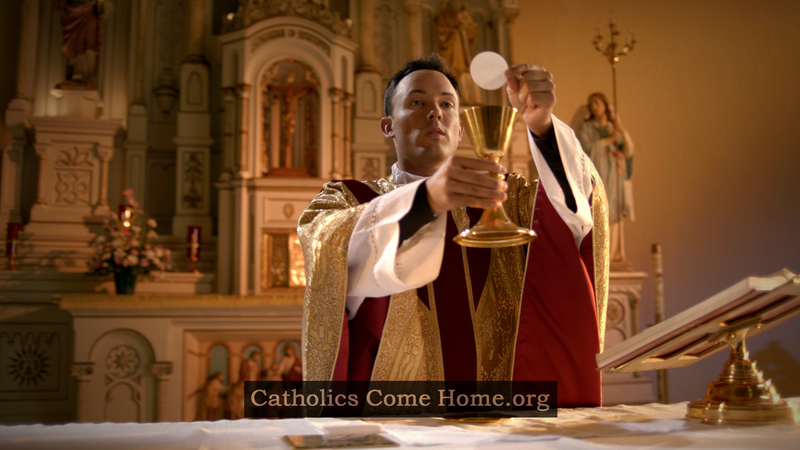 CatholicsComeHome.org is a 501(c)(3) non-profit media apostolate, dedicated to producing and airing Catholic evangelism television ads on local, national and international television networks. Catholics Come Home® is guided by a 26 person Advisory Board, including Cardinal Seán O'Malley, Bishop James Conley, Bishop Thomas Olmsted, Bishop Michael Sheridan, Bishop Jaime Soto, and other highly respected theologians and Catholic business executives. Evangomercial™ and Catolicos RegresenTM are trademarks of Catholics Come Home, Inc. CatholicsComeHome® is a Federally Registered Trademark of Catholics Come Home, Inc.